Everyone remembers the little things in their childhoods. 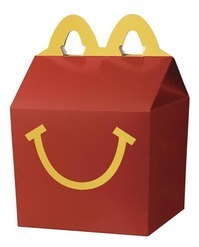 TV shows, movies, video games…but something that was memorable in my childhood, and possibly yours, was the Happy Meal. It’s just some greasy food in a cardboard box with a cheap toy, but the simplest things can seem magical to a child. And now, for those of you who want to embrace your inner child and get some Pokemon figures, McDonald’s is offering Pokemon Black and White toys in their Happy Meals. Pictured above are the figures that are available in the Happy Meals. The figures and cards are available from June 17th until July 7th in McDonald’s restaurants across the US, and are expected in other countries later on.